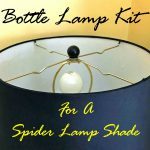 If your looking for a bottle lamp kit that will allow you to use your Spider lamp shade, then look no further. We got a great question last week and wanted to share it with our readers. 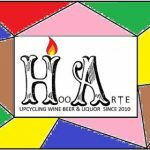 With over 175 items listed on their Etsy store, HooArte has up-cycling down to a science. 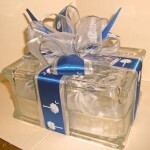 With all the craft shops that are now on Etsy a consumer can feel a little overwhelmed at the selection that awaits them. 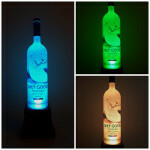 Jim’s been busy with his bottle crafting and he has quite the line up to show case. 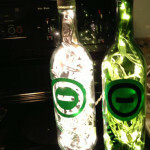 Caleb posted a picture of these ‘Type O Negative Band Bottles’ on our Facebook page. 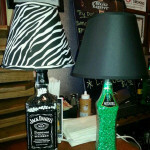 Amber posted a picture of these awesome bottle lamps on our Facebook page. She said they looked lovely at the bar. We bet they do! !